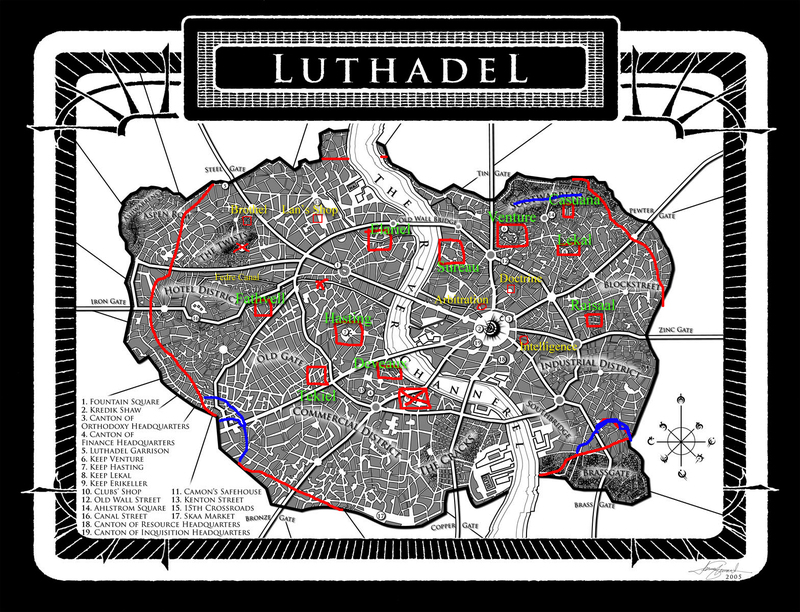 Here is the map of Luthadel, for the year 918, the time of the RP. Green denotes the location of a Great House's keep. All ten current Great Houses are represented. Red denotes the 918 borders of Luthadel. Blue represents skaa slums, due to the changes in the Luthadel borders. You will notice that the 918 map has different borders. 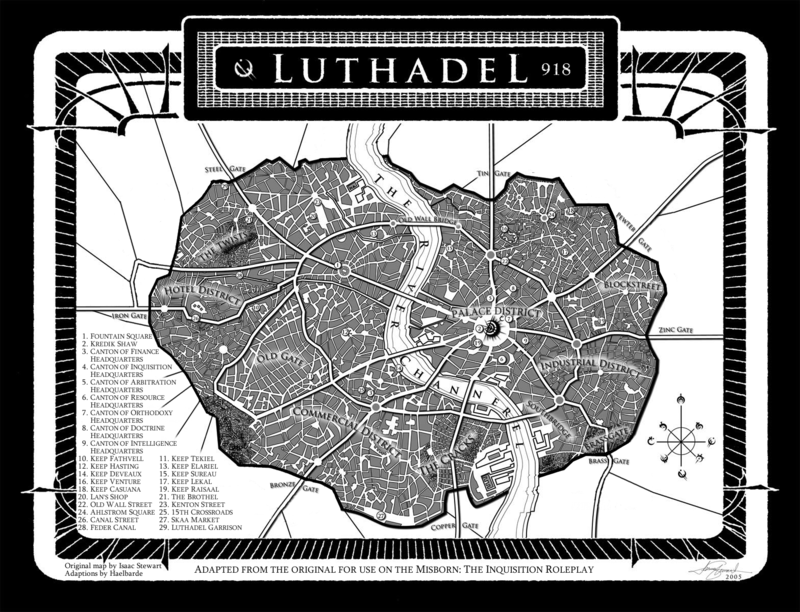 Over time Luthadel has expanded, so we believed that the 918 map should reflect that. As such the Brassgate slums and the Ashwarrens no longer exist in their 1022 form. There are two new slums, though, one near the old Brassgate and one near the Commercial District. Still, the Twists and the Cracks are probably more densely populated in these old borders. The area around Kredik Shaw, for this RP, shall be referred to as the Palace District. What else? I think that's about it. Basically, Luthadel is the same, just with the full list of Great Houses and slightly different borders.